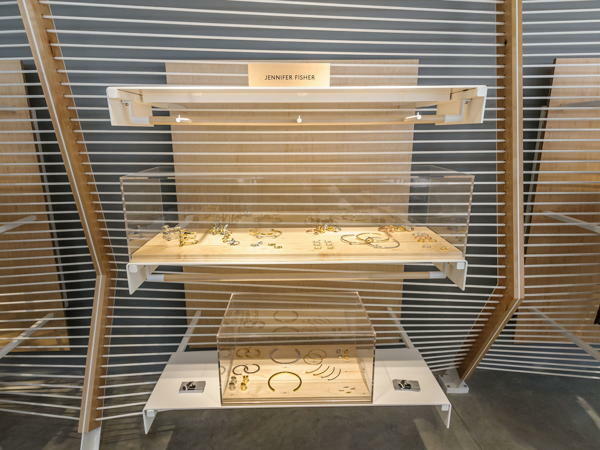 Dates: This ShopShare is available for a full 6-week commitment. We pride in sharing your brand's story and believe that a these ShopShare opportunities will leave a lasting impression on our community. Seaport Studios is a beautiful two-level concept space with customizable interior design created by Brooklyn-based Guild Group. 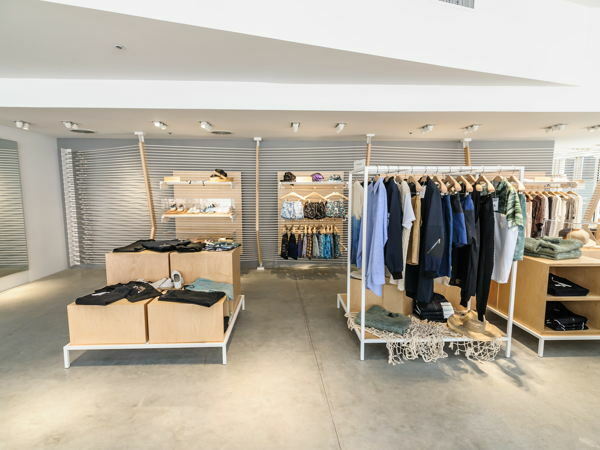 The store is inspired by the Seaport's maritime history and features an eclectic mix of fashion, design, art and food in a continuously inspiring environment. Seaport Studios is operated by Pop Up Mob, creators of unconventional retail experiences, in partnership with Howard Hughes and WWD. 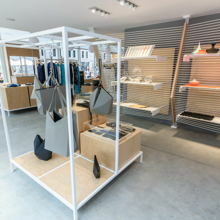 Featured designers and artists at the Studios include Areaware, Feiyue, Mykita, Shantell Martin and Timo Weiland. At Seaport Studios, brands get a centralized POS, full-time staff, PR from one of New York's finest firms, ABPR, as well as a citywide marketing campaign via MTA and kiosk ads. We also provide you with shopping bags, jewelry boxes, elegant tissue paper, hangers, plinths and mannequins. The Seaport District is Manhattan's oldest new neighborhood. Vibrant, engaging and a catalyst for creative culture with the historical context of cobblestone streets and the docks. 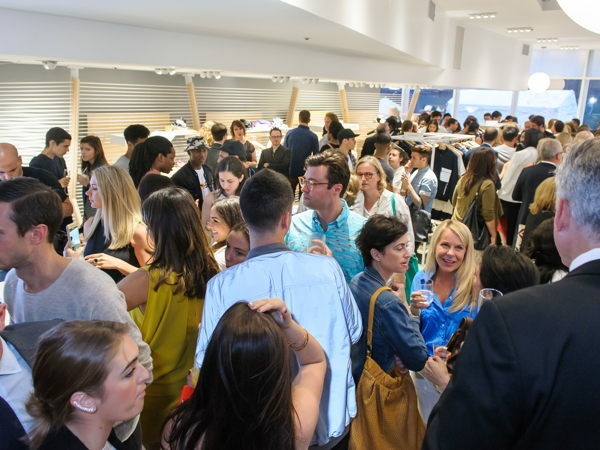 The Pop Up Mob was founded two years ago by two Venezuelans women, Ana Pelucarte and Maria Pulido, in New York City, and its mission is to keep the retail scene on its feet [one pop-up at a time that is] by creating an innovative experience to better display the brand's visions and stories. 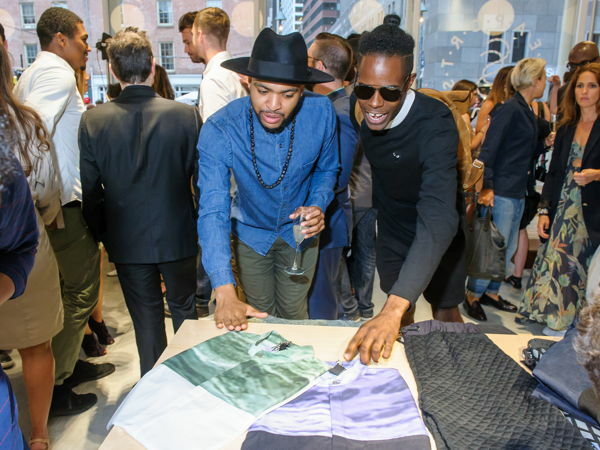 The Fine Print: Brands should book three weeks before the in-store launch. If the space is full, we will add brands to the waitlist and guarantee a spot in the next available time slot.